Looking for a fun, quirky way to treat your mum on Mother’s Day, but not sure where to start? Sydney has plenty to offer. Here is a selection of the best adventures on offer. Several companies will be running Mother’s Day cruises on Sydney Harbour. Vagabond, for example, will host a three-hour trip. Every mum will be greeted with a champagne flute and a chrysanthemum before sitting down to a carvery and seafood buffet, delicious desserts, a selection of fresh fruit and coffee or tea. A live soul-jazz band will provide the entertainment and a lucky door prize will see a hamper go to one lucky mum. Tickets are $85 per adult, $70 per child (5-14 years) and $290 for a family (2 adults and 2 children). Under 5s cruise for free. Bookings are essential. Most mums work pretty hard, whether they’re at home, looking after their children, or out in the workforce, bringing home the bread and butter. So, it’s nice to show your appreciation by treating them to a night of indulgence once in a while. Why not book some accommodation in the Sydney CBD? Give your mum the chance to kick back in five-star comfort, enjoying a super-comfortable bed, luxurious linen, high-end facilities, 24-hour room service and a first class spa experience. 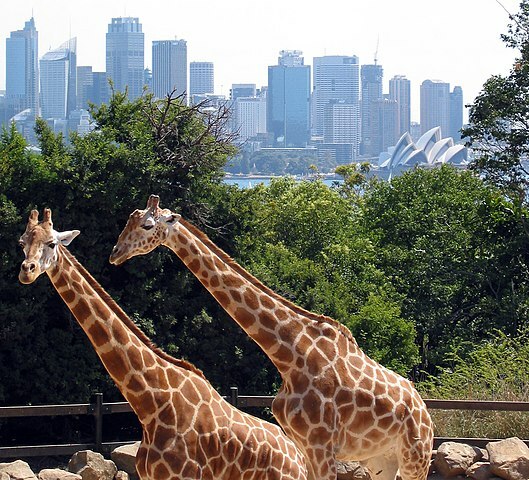 As you might’ve guessed from the name, this event gives you and your mum the rare chance to spend a night with the cute and cuddly inhabitants of Taronga Zoo. After having as much time as you like on Sunday, May 11th to wander around the exhibits, you’ll meet up with your hosts at 5pm. They’ll present your mum with a special gift before escorting you to the ‘Roar and Snore Campsite’, where you’ll be shown your very own tent, complete with linen and towels. No fumbling with tent pegs or battling with guy ropes! As the sun sets over Sydney Harbour, the real adventures will begin, with up-close and personal animal encounters, secret behind-the-scenes tours and a nocturnal stroll. To stop you getting hungry, a scrumptious Mother’s Day feast will be served, as well as various refreshments. Matters will wrap up at 7:45am, leaving plenty of time to meet Monday morning commitments. Since 1998, the annual Mother’s Day Classic has been raising money for breast cancer. From 6am on Sunday, May 11th, moms and daughters will gather on Art Gallery Road in the Domain, ready to take on a four or eight kilometre run or walk. Registration fees start at $40 per adult, $20 per child (under 16) and $90 for a family (2 adults and up to 4 children), with all proceeds going to charity. You can also opt to seek sponsorship from friends, family and colleagues. Or, if you’re not the sporty type, you can offer your services as a volunteer, show your support by cheering from the sidelines or make a donation. You won’t be alone, the Mother’s Day Classic attracts a big crowd and a buzzing atmosphere every year.